Having a Scottish father (and now a Scottish husband) Hogmanay, or New Year’s Eve, has always been a significant time in my life. Apart from when a tiny baby I cannot remember a time when I haven’t stayed up to see the new year in, and tonight will be no different. In our household it was always a time of great celebration and partying with family, more so than Christmas. However, as a child I couldn’t understand why, when what was a clearly a fun time, would often be tinged with sadness as glasses were rasied to ‘absent friends’ at midnight. But I also take time out to think about the year past in a positive light (Pollyanna is never far away!) and I hope you can find a little time to do the same. Whether the past year has been great, or not so great for you, it’s part of you and you will have grown and developed professionally and personally throughout it. What have you learned about yourself this year? What new skills have you acquired at work or at home, at leisure? Maybe a difficult economic climate has caused you to dig deep into your reserves and discover strengths you never knew you had? Maybe you have seen new qualities in your friends, in yourself? Perhaps you read something that touched you in a significant way or added to your knowledge? Maybe you started a new job or qualification? 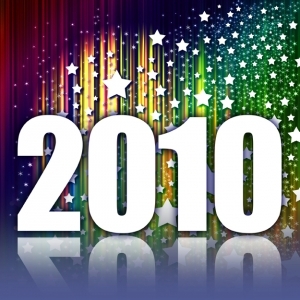 Take time out to reflect on all the positives of 2009 and take that with you into 2010. Leave behind any old hurts where they belong- a new year is beginning with fresh opportunities for you! Whatever success means to you – family, wealth, career, health, and happiness, go for it in 2010! Grab the new year with both hands, take the opportunities that present themselves and be the best you can! Totally agree Jane, we get so caught up in the whole New Year New You business that we can easily forget about all the good things that happened in the year we have left behind. When I do this kind of reflective exercise it always makes me realise I’ve actually achieved more than I though I had and it acts as a great motivator. Happy New Year and have a GREAT 2010! I’ve always been the reflective type. There were large family gatherings when I was growing up but I looked forward to the later time when I could reflect and plan forward. I’ve now stopped tying that to December 31 and given myself permission to set goals and challenges all year around. Blessings on the new year, Jane!